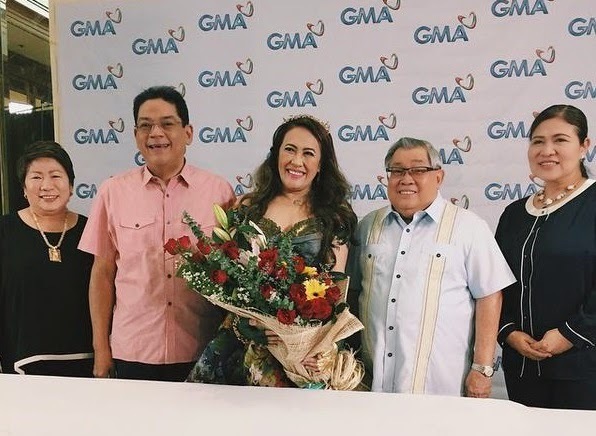 Comedian Ai-Ai delas Alas is officially in GMA 7 as she inked a two year exclusive contract with the network on Thursday, April 16. Present during the contract signing were GMA Network chair and CEO Atty. Felipe L. Gozon, COO Gilberto Duavit, and other GMA executives. Ai-Ai started her career in GMA 7 as a co-host on noontime shows such as 'Lunch Date and Salu-Salo Together' but she moved to ABS-CBN which was her home network for 15 years.